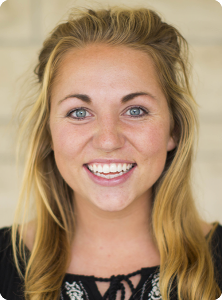 Camille Shepherd joins the Cross Church School of Ministry from Duluth, Minnesota. Camille is participating in the College Ministry track. I’m sitting in a double-wide trailer in Louisiana. This is not the exact place I would have pictured spending my spring break but here I am. It’s a regular fall day that’s hotter than any summer day we’ve ever had in my home state of Minnesota. I’m wearing a full hazmat suit, a mask, goggles and I can feel my sweat turning my clothes a different color. I breathe in the haunting smell of black mold as I walk through the trailer a joyful, goofy man named Russell calls home. It has been two months since the floods boldly came in and took thousands of peoples’ homes from them. Russell told about his first date with Ruth, his wife. And share about their palm tree table, which his wife hated so much the couple hid it under a bed¾it was the only piece of furniture that made it out of the flood. I walk by the overwhelming pile of molded trash that lies by the trash can at the side of the road. Things weren’t always this way, at one time this trash was cherished. I’m sure in that pile lies a summer dress that Ruth loved so much because it brought out her eyes and she felt like she could conquer the world in it. I’m sure in that pile lies a journal that’s water logged and you can no longer read the stories and memories that have been scribbled in there. Everything this sweet family has ever known is completely gone. “Just an interruption,” Russell said. Excuse me, what? This flood wiped out everything this family ever owned. And Russell says, “This is only an interruption, to gaze our eyes on Jesus.” What? Here we are. We drove 12-hours to minister to this family who turns right back to us and challenges our faith in a way that brings conviction and a joy that surpasses everything this world has to offer us. Russell told us how he prays for interruptions. When we look at the life of Jesus, we can see the way He embraced and welcomed interruptions. In Mark 5, Jesus was on His way to heal Jairus’ daughter and was stopped by a lowly woman who had been bleeding for 12 long years. Now this woman wasn’t socially accepted and was considered an outcast, but not to Jesus. Jesus stopped in His tracks, welcomed her, looked her in the eyes and called her daughter. Check out ronniefloyd.com/blog to read the latest leadership and ministry commentary from Dr. Floyd.